Commercial LED Lighting Longmont: Why Upgrade Lighting For Your Business? Why Get Commercial LED Lighting For Your Business? That’s a fair question. Well before we’ve begun a lighting audit for a company, we get questions from skeptical but curious business owners about why LED lighting is growing in popularity here in Longmont, Denver, Colorado, and all over the world. Simply put, LED lights use less energy than their conventional counterparts and, in the long-term, save businesses tons of money. Check out what Colorado business owners have to say about working with New Edison Lights to see the light for yourself! As time goes on, the switch from incandescent lighting methods to LED technology is becoming more and more obvious. If you’re curious about how New Edison Lights can help you in the way of commercial LED parking lot lighting, indoor LED lighting or energy efficient lighting upgrades in general, we’d love to work with you! From Longmont to Estes Park to Fort Collins and Denver, we’re Colorado’s preferred energy-efficient lighting company. Feel free to schedule a lighting audit today, or learn more about why you should make the switch to LEDs below. Standard incandescent bulbs emit light as a current is passed through the metal within them. LEDs, conversely, pass electrons through a semiconductor and therefore have no filament to wear out, meaning that they also don’t get as hot to the touch. Capable of producing light in a satisfying and visually-appealing variety of colors, LEDs can light up large commercial spaces without that dreary, characteristic glare of conventional fluorescent lights. We all know how depressing that can be after a while. Things that pay for themselves often pan out to be worthwhile investments, right? LED lighting is no different. As LED manufacturing productions around the world have increased, the costs to produce LED lights, even at a commercial scale, have decreased. While some power companies are still offering rebates as an incentive to switch over to LEDs, the long-term savings alone are worth it. 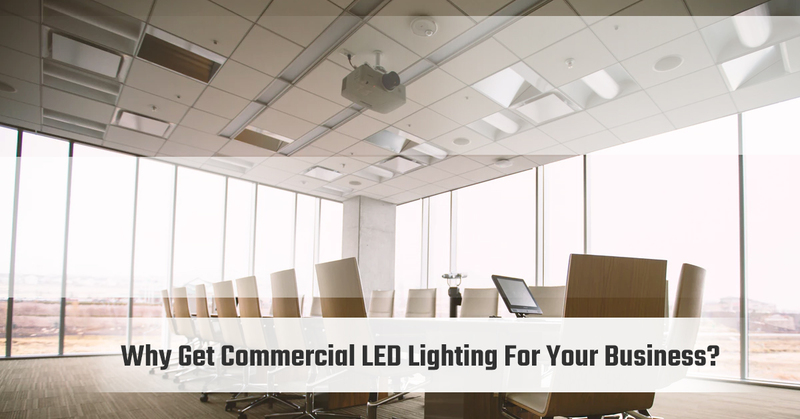 Though it might take one or two years, eventually, commercial LED lighting for your business in Colorado will prove to be an eco-friendly investment that pays off. All things considered, LED lights last far longer than incandescent or fluorescent lights. These are simply facts. Depending on the number of hours that your business uses lighting per year, your LED lights could last up to or even beyond 20 years. That’s a financially-wise long-term investment that may cost more upfront, but eventually, you and your business will be repeating the eco-friendly benefits. We’ve seen successful stories time and time again from happy Colorado business owners who, after only a few years of using LEDs for parking lot lighting or commercial indoor lighting, already started to save money. Questions About Commercial LED Lighting In Longmont And Denver? As the authority in LED lighting in Colorado, New Edison Lights is happy to answer your questions about LED installations, scheduling a lighting audit, or any of our other related services. Learn more about energy efficient lighting upgrades and why you should make the switch to LEDs by contacting New Edison Lights today.